I wanted to brainstorm with you an old card I just discovered because of MTG Goldfish. What are your feelings about Anvil of Bogardan in place of Howling Mine ? Obviously it's not card advantage, but it is one more means of having no maximum handsize and still digs deeper. Same cost card type and general function does make them comparable. I think I am going to work it into my list but I'm still mulling it over. Love the concept, this feels so cool! 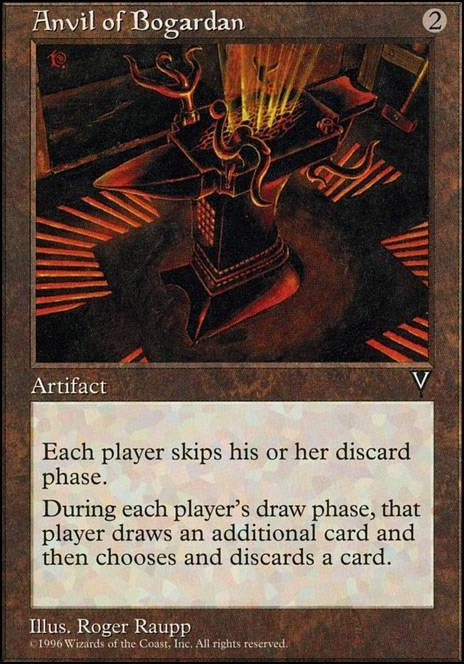 Phyrexian Reclamation > busted card. 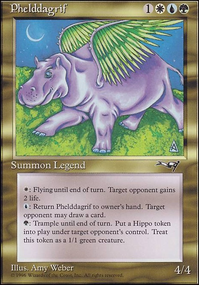 In any creature-heavy decklist like yours with some sacrifice strategy, it's a staple. Attrition > another busted card. Fine sac outlet. Priest of Forgotten Gods > slow card - high rewards. I really like this one alongside both boots and greaves. It's not the best sac outlet ever seen, but it greatly helps with the Aristocrat theme. Vindictive Vampire (not updated on Tappedout yet) > another brand new awesome card! 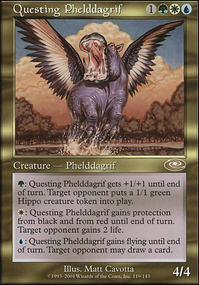 It is a better Falkenrath Noble , specially designed for EDH. 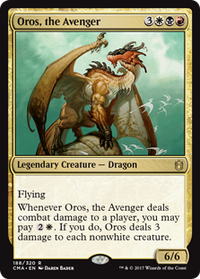 I expect it to be one of the strongest cards from the new set for EDH, as it doesn't need to set-up your combo in order to become devastating. Anger > gives haste to your rats for even more pressure. Pack Rat > obviously excellent there. 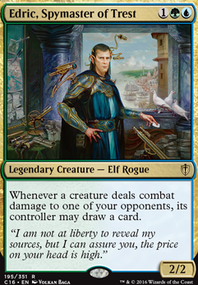 Marrow-Gnawer > the classical ''Rat'' Commander. Nice with a haste enabler: it creates Rats token, works like sac outlet... just everything you want. Insult / Injury > good to find a lethal, but also acts as a fine removal card. Could be a nice inclusion, according to your preferences though. Anvil of Bogardan > an old artifact I like a lot. Not so many plays it, but I feel like it always is a really good card if you want to play with your graveyard a bit. You draw an extra card, discard a Rat, uses some enchantment/ Living Death ability to bring back your bois on the battlefield, etc. Honestly, I see it as a staple. The Immortal Sun > Both Liliana and Angrath aren't that good here imo. Liliana works as a pretty 'meh' ramp tool and is barely better than a Thaumatic Compass Flip (which won't fit at all in this decklist). Angrath is more flexible and efficient, but its abilities don't justify its mana-cost. Running Immortal Sun will help you to slow down sometimes your opponents, provides you fine card draw (which is always good), and finally make your rats cheaper as well as stronger. Patriarch's Bidding > with (for example) some cards like Secret Salvage + Zombie Infestation , it enables crazy combos. 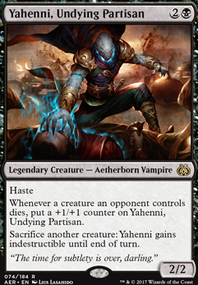 It's better than Living Death for tribal decks, but I would say that you should run both of em. Anthem of Rakdos > very slow but oppressive card when you manage to take up board advantage. I would argue that this is better than Havoc Festival in this brew. 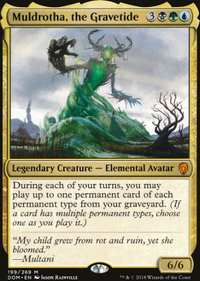 Hazoret's Favor > one of the most shunned cards of Amonketh I think has a lot of potentials to exploit. You could run Combat Celebrant alongside/or Aggravated Assault . I hope the small list above will give new ideas to explore. Keep on the good work and enjoy brewing!